Nationwide leader in commercial roofing announces new President of its Tiffin & Columbus, OH operation. “Rylee and his terrific team have already proven themselves since they have been at Tecta and we look forward to continued success under Rylee’s leadership – Mark Santacrose, President and CEO, Tecta America Corporation. 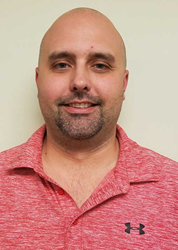 Tecta America, the nation’s premier commercial roofing contractor, is proud to announce a new addition has been made to their team of employees, as we welcome a new President to the company.